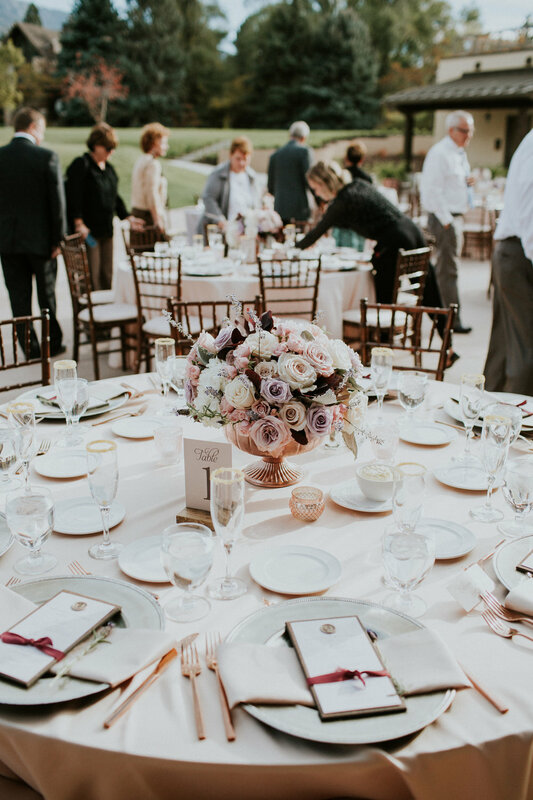 From soft, romantic florals to elegant chiffon draping and the bride's stunning blush lace wedding gown, Dominique and Andrew's fall wedding was absolutely beautiful in every way. 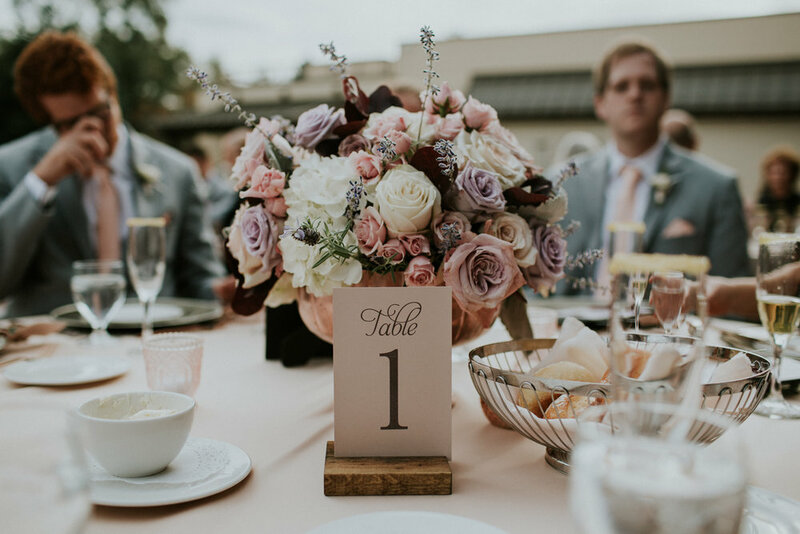 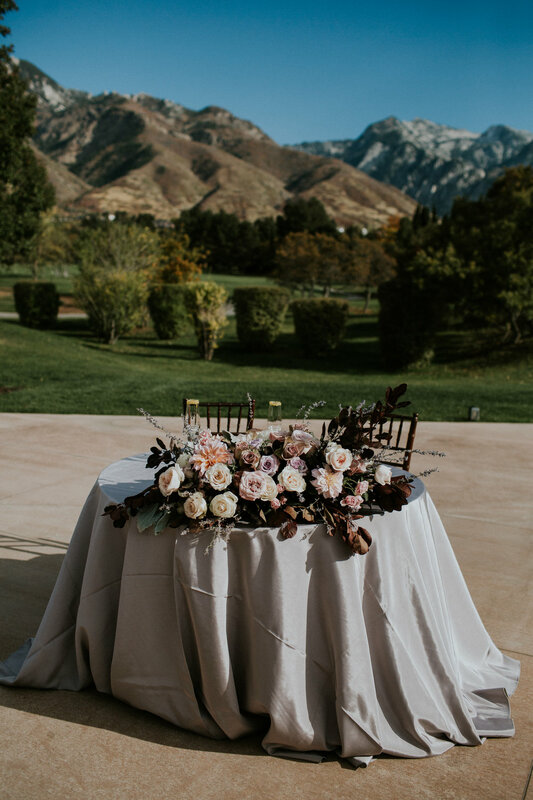 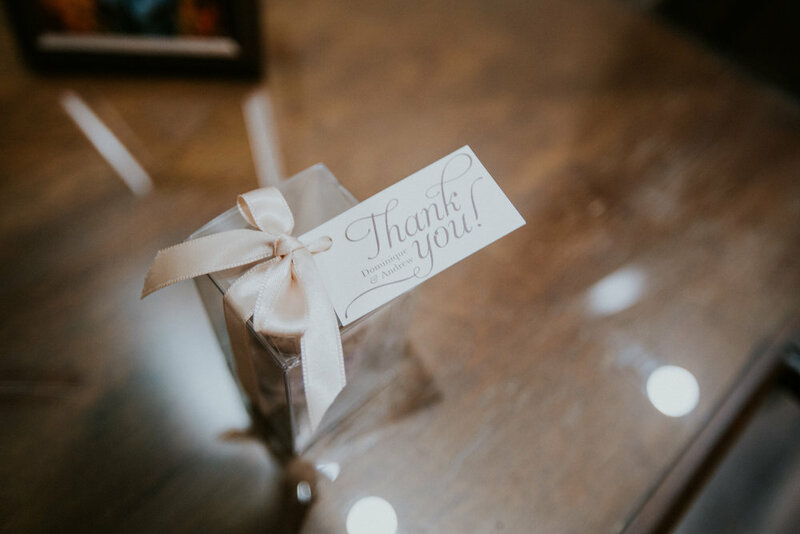 With a mix of satin and sequin blush linens, brushed bronze chargers, blush satin napkins, rose gold flatware, dreamy, fresh floral centerpieces, and custom menus complete with a wax seal and silk ribbon, the decor was simply stunning. 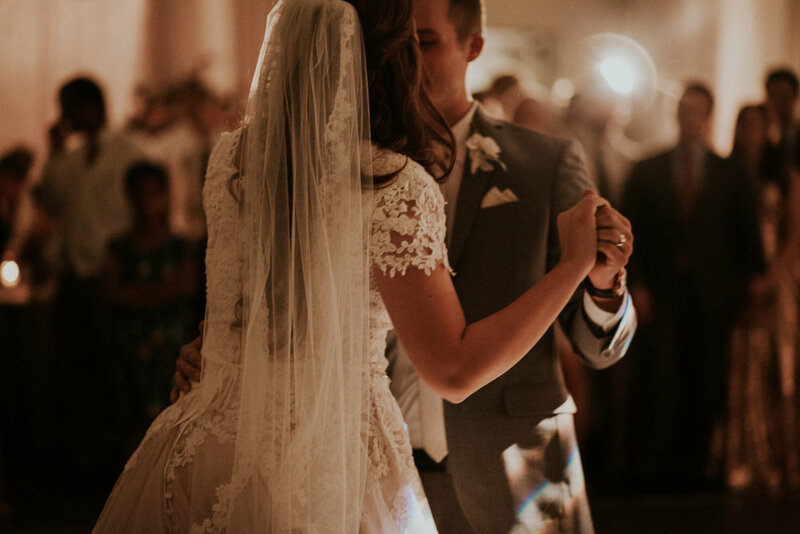 Love was in the air and felt by all, making this wedding one that won't soon be forgotten.